When she was a child, Kasumi Toyama felt a heart-pounding thrill every time she gazed at the stars, and she's been looking without success for something that could inspire the same feeling ever since. One day, she comes across a star-shaped guitar in a rundown pawnshop and, for the first time, discovers the thrill she's been searching for. 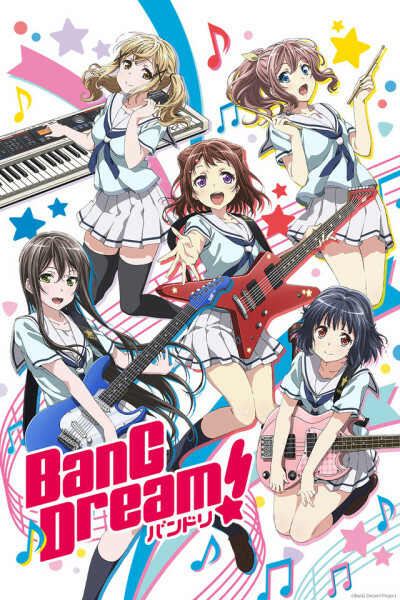 Kasumi becomes determined to form an all-girl band, and her search leads her to four like-minded souls: Saya, Arisa, Rimi, and Tae. Does this band have what it takes to make their dreams of stardom come true?